San Francisco Vintners Market – Try It. Buy It! Twice a year in San Francisco wineries set up their “tasting rooms” for two days at Fort Mason for the San Francisco Vintners Market. What sets this tasting apart from other tastings is that attendees can buy wine onsite and take it home with them. 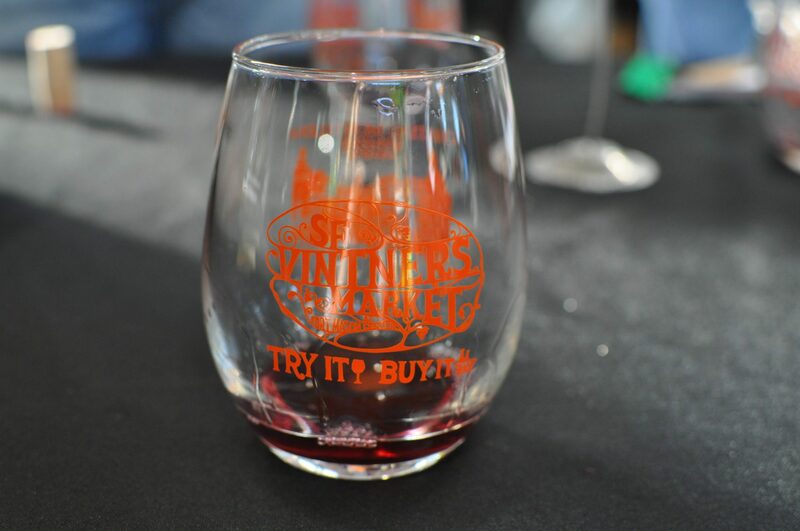 With over 150 participating wineries, more than 6800 people came out for the November 2012 event. Now that 6 SF Vintners Markets have taken place, more than 36,800 consumers have Tried Wine and Bought Wine! 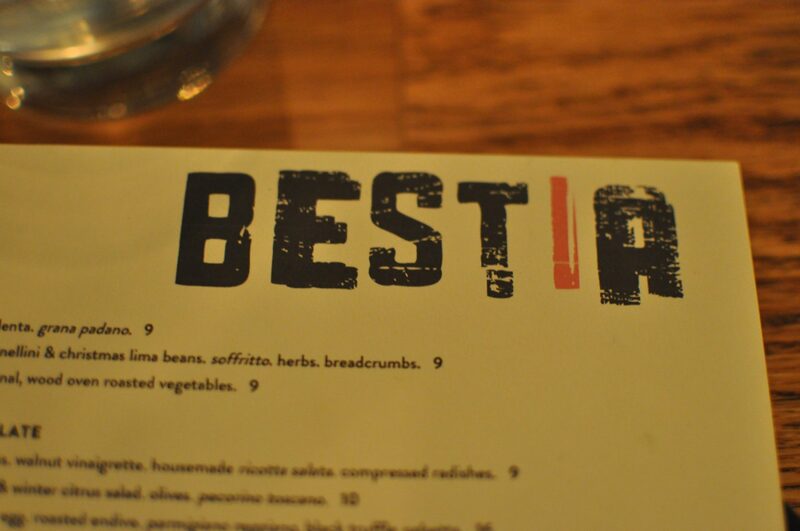 Bestia officially opened its doors this past weekend in downtown LA’s Arts District. A contemporary brick building decorated with reclaimed materials, Bestia is hidden among the nondescript warehouses of downtown LA, not far from the Greyhound Station. But when you walk inside, you will forget where you are and be transported into a warm, inviting restaurant with an open kitchen and a long bar for cocktails. Giving Thanks to our Philanthropic Bartending Community! As we prepare for our Thanksgiving feasts, it is a time to give thanks for what we have. It is also a time to give. And I want to take a moment to applaud the bartending community who continues to give and give and give to help others, whether individuals or strangers. I am proud be affiliated with this industry and community of people who like to have fun but never lose sight of helping those in need. Here are four remarkable examples. “This business is what we have chosen as our career. We do something that makes us happy and I love bartending. We provide a service to people on a daily basis. But, I want to find meaning in what I do, something I can pass on to my family and kids,” explained Josh Harris of The Bon Vivants, the San Francisco-based cocktailing company. They created Pig & Punch, a party with whole roasted pig, trash cans of punch and t-shirts for sale that follows a day of volunteering at a local charter school. Started three years ago at Tales of the Cocktail, this year they organized the event three times around the country – in May 2012 at Manhattan Cocktail Classic, in July 2012 at Tales of the Cocktail and in October 2012 at Portland Cocktail Week.